A simple guide to Ayurveda that focuses on exercises and remedies to achieve ultimate health, energy, mindfulness, and balance. Practicing Ayurveda, one of the world’s oldest holistic healing systems, doesn’t need to be complicated. Ayurveda Made Easy contains simple strategies to guide you toward a healthier lifestyle perfectly suited to your needs. Ayurveda works to help you understand your body and achieve your personal ideal balance with a series of exercises, activities, and natural remedies. From dietary suggestions to yoga postures and breathing exercises, each page offers practiced steps to improve your body and keep you calm and mindful every day. With over fifty easy-to-follow exercises, Ayurveda Made Easy takes you one step closer to achieving health, peace, and energy for a balanced life. "Practicing ayurveda, one of the world’s oldest holistic healing systems, doesn’t need to be complicated. 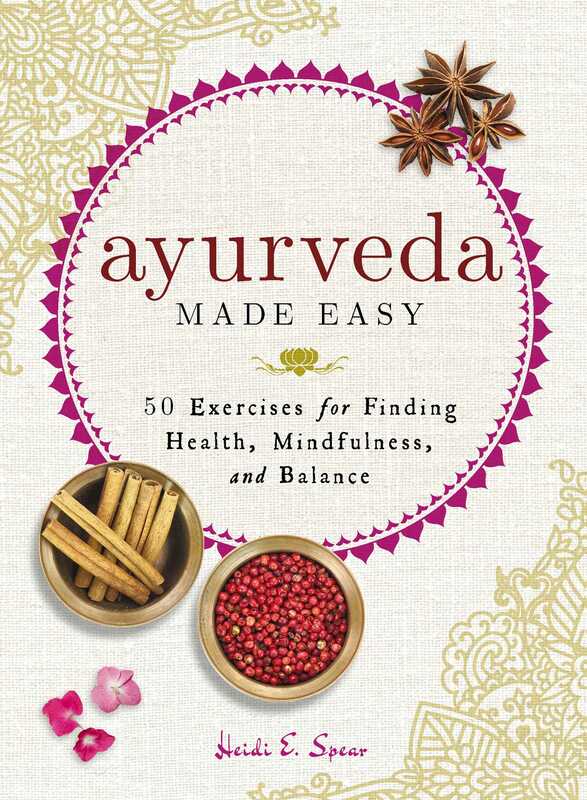 Ayurveda Made Easy contains simple strategies to guide you toward a healthier lifestyle perfectly suited to your needs. From dietary suggestions to yoga postures and breathing exercises, each page offers practiced steps to improve your body and keep you calm and mindful every day. Ayurveda Made Easy takes you one step closer to achieving health, peace and energy for a balanced life." "The book gives you signs (both mental and physical) to see just how aligned and balanced you are … .There’s a useful five-minute check in which you can do daily to see how you’re doing … .An easy small size that can fit in your purse – I have found it to be very useful and have plenty of notes … throughout, for easy access to tips later on."